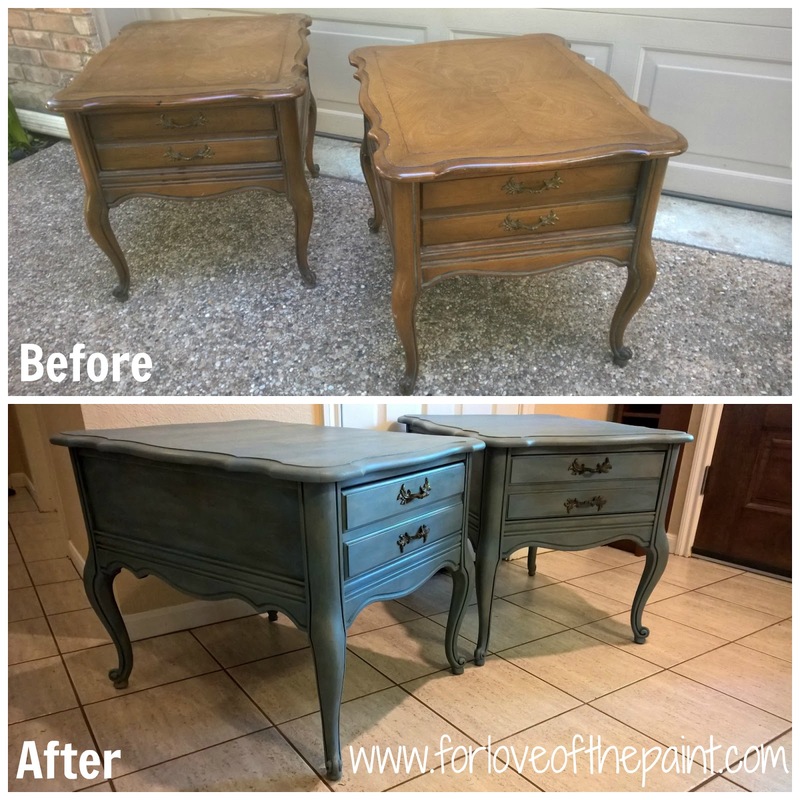 These gorgeous French Provincial side tables were a fabulous find! I decided to go after them with a layering dry-brush technique, and started with Annie Sloan Chalk Paint in Olive, followed by Greek Blue and French Linen. Then I came back in with a chippy paint brush and put on a little more of the Greek Blue, particularly to the leg and trim details. I sealed them with clear and dark waxes for a gorgeous antiqued look. Aren't they beauties? I am just loving the subtle color variations! They will be a perfect complement to any decor! I'm always looking for new ideas - what are your favorite color combinations?